I have not watch any Japanese animation in a while and I must admit that it feels great. I have never been a big fan of Gundam, but I have always admired the complexity of its plots, particularly its political and philosophical aspects and the variety of its character and mechanical designs. The fact that this is an Original Video Animation (OVA) mini-series — streaming on Netflix — makes it easier to reacquaint myself with the genre and the story. It is also a good way to introduce a novice to the phenomenon. Therefore, as in the good old days of P.A., here is an “Anime Story” (although a little shorter and with links — it’s fun, I should do this more often!). 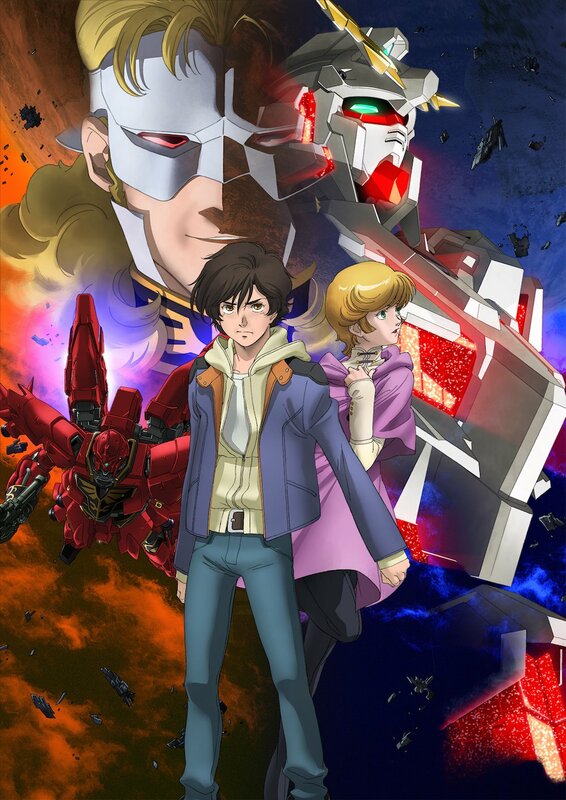 Mobile Suit Gundam Unicorn (UC) (機動戦士ガンダムUC(ユニコーン) / Kidō Senshi Gandamu Yunikōn) is a sequel to the Mobile Suit Gundam story created by Yoshiyuki Tomino (made famous by its plentiful line of plastic models known as Gunpla). It takes place in the main timeline of the series, known as Universal Century (宇宙世紀 / Uchū Seiki). Earth is colonizing space by putting colonies (big space stations known as “Side”) in stable orbits around the planet (A.K.A. Lagrange Points). The story begins as the Earth Federation Prime Minister is about to unveil a new era of space exploration as well as a new Federation charter. The current era (A.D.) ends as the Universal Century begins. However, the Laplace space station—where the calendar change ceremony is taking place—is destroyed in a terrorist attack. The young Syam Vist discover a secret in the station wreckage: the Laplace’s Box, which contains a truth so terrible that it must never be revealed as it could destabilize the Federation — it also becomes a source of political power upon which he will build the Vist Foundation.